Ridgway is a wonderful place to raise a family. This page is still under construction, but we wanted to be sure to start sharing information that may be useful for families considering raising their children within a cohousing environment and in Ouray County. Our Mission: Voyager Youth Program seeks to inspire Ouray County's youth to achieve healthy lives through our prevention education programs and enrichment activities with a purpose. We work in partnership with local schools and the larger community to create an environment in which youth will thrive. Link here to learn more about Voyager: Voyager Youth Program. Across the street from the Alpenglow neighborhood is Hartwell Park. The park hosts not only our farmer's market and music festivals, but a great play ground for the neighborhood kids. At the risk of being too cliche - it does seem to take a village to raise a child. "A village" is one way to describe cohousing. Further, multigenerational settings bring together elders and children, to the benefit of everyone involved. 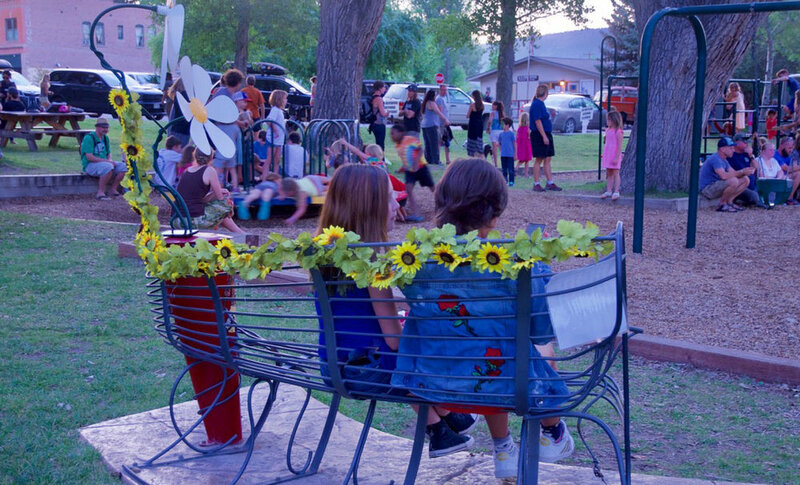 Many parents speak to the immeasurable support of living in cohousing while raising children - from just that extra set of eyes around the neighborhood to nearby babysitters, to teaching your children about the value of kind community.